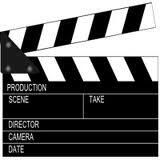 Storage and Handling is also good information to know about…. you want these sweet delicious onions to last and you will find that information at the Vidalia Onion website. Selling vidalia onions as a fundraiser is something that the Alpena Shriner Club has been doing for years. The Shriners even have their own logo on the bags of onions that they sell. This year the Alpena Shrine Club is taking pre-orders for their Annual Vidalia Onion Sale. Alpena is very fortunate to have a wonderful organization such as the Alpena Shrine Club. Alpena’s Club was first formed in 1945, the club is a fraternal organization which supports Shriners Hospitals for Children. Shriners Hospitals for Children is a network of 22 non-profit hospitals across North America. Children with orthopedic conditions, burns, spinal cord injuries, and cleft lip and palate are eligible for care and receive all services in a family-centered environment, regardless of the patients’ ability to pay. Patients must be minors under the age of 18. For well over 40 years Alpena Shrine Club members have been transporting children from around the region to the Shriners Hospitals in both Cincinnati and Chicago. The Shriner organization picks up all of the expense for the 2 day trip… meal, lodging and transportation costs. The child as well as one of his/her parents or guardian is also able to be transported along with the child. The drivers will start out in Alpena and will often pick up other children along the way. The Alpena Shrine Club routinely transports about 200 children each year to either Cincinnati or Chicago Shriner Hospitals, about a 1000 mile round trip. One of the fundraisers that the Alpena Shrine Club holds annually is their Vidalia Onion Sale. This year the Shriner are taking pre-orders for these delicious sweet seasonal onions. Your support goes to help the Alpena Shrine Club continue their mission of transporting children to the Shriner Hospitals in Cincinnati and Chicago. 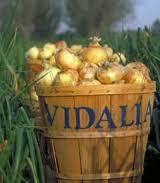 It is that time of year again….time for those delicious vidalia onions to arrive. The Alpena Shrine Club will once again be selling those much awaited onions that are only available at a certain time of year. This year the Club is allowing you to reserve your bags of onions in advance of them arriving in Alpena. I eat these sweet onions with everything but my favorite way to eat them is to slice them up with sliced cucumbers and tomatoes, I then pour over a good stout Greek or Italian dressing. So simple but so good. My mouth is watering now anticipating the flavor of that wonderful combination. Mexican Onion Casserole I am ignoring the number of calories that must be in it but it sure sounds good to me. You will have fun playing with that handy widget on their site.